Game Information: Joker Pro is an exciting and rewarding online pokie powered by one of the biggest software providers in the industry – NetEnt. The game features the standard 5 reels and 10 paylines, but thanks to some incredible features and plenty of winning opportunities, players will surely be thrilled at their time spent on the reels. Since NetEnt is a major name in iGaming, they have a wealth of gaming opportunities available on the internet, with Joker Pro being just one of its exceptional titles. While many are as bold and flashy in terms of the design and offering, Joker Pro takes a more traditional and simplistic approach to gaming, which will surely attract new and experienced players alike. 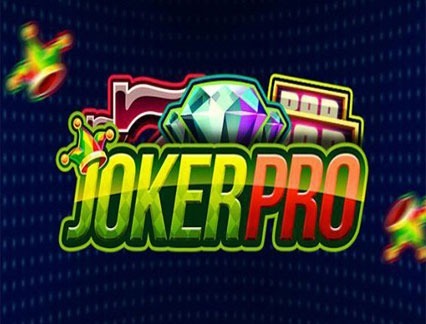 Joker Pro is one of the most exciting and popular games to come out of NetEnt and is on par in quality and rewards like other famed titles, including Starburst, Gonzo’s Quest, Dazzle Me and more. Joker Pro is a 5 reel pokie with just 10 fixed paylines. To start your play, choose your preferred bet, bet level and coin value. Players can use a minimum coin size of 0.2 to 100.00. Once ready, click on Spin to start the game. There is also an Autoplay feature that allows you to turn the reels for a specific number of times while the Max Bet feature lets you automatically play with the maximum bet available. Land one or more scatters on the second, third or fourth reel to activate the game’s special feature – the Joker Pro Re-Spins. During this feature, the first and fifth reels turn completely wild while 3 Hot Spot places come to the fore in the middle of the second, third and fourth reels. The scatter symbol that activated the Respins turns into wild cards and stick to the reels while the reels respin. If one or more wild symbols land on the reels during the Respin feature, another Joker Pro Respin is awarded. Additionally, if 3 wild cards land in the Hot Spot positions, you are granted a win of 1,000 times the stake, which will then end the feature. The game’s theme takes players back to the 80s disco era. The purple and blue colour scheme gives the game a stylish and glitzy feel, while a fast and upbeat soundtrack adds some swagger to your experience. That said, everything in the game promotes and classy and sophisticated vibe that will appeal to the most discerning player. The symbols on the reels are associated with luck and fortune. This includes a four-leaf clover, horse shoe, bar signs, red sevens, sparkling diamonds, and golden bells. Here, players will need to land between 3 and 5 symbols to win. 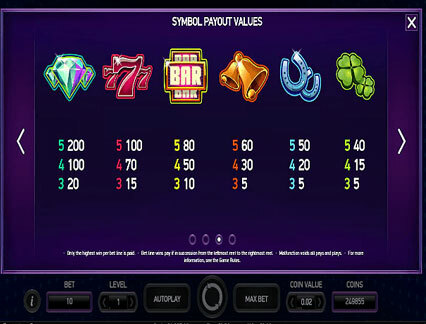 This is another interesting feature as most pokie games require 2 symbols in one of the 10 lines to count as a win. However, since there are only 6 icons on the paytable, this boosts your chances of winning on at least one of the 100 lines. Joker Pro is not a progressive jackpot, although with a medium to low volatility and some cool bonus features, the game offers some impressive opportunities to win big. The special Respin feature provides the game’s most lucrative bonus, which is capped at 1,000 times the increase stake. One of the most surprising aspects of the game is that there are only 10 paylines. 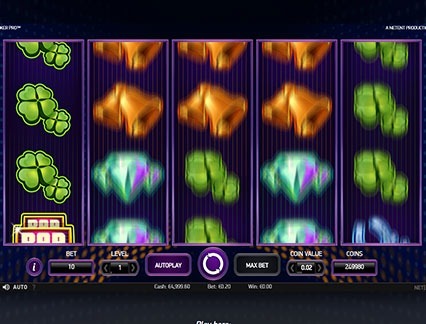 This is quite different from traditional NetEnt games, as the software provider is known for being rather generous in terms of paylines. That said, the game is fair in that it features an RTP of 96.8%, offering a good chance for players to win big, whether you are a new or experienced player. The Joker Pro Respin is the game’s most impressive feature and awards players with great wins. It is activated whenever one or more wild symbols appear in the game. The wild symbol takes the form of a joker’s hat and turns the first and fifth reel completely wild. If another wild appears on the second, third and fourth reels, you earn some free spins and incredibly wins capped at 1,000 times the increased stake. Once this happens, the feature will end, but you won’t mind as you would have won a sensational jackpot worth its weight in gold.